Conference organised by the Interdisciplinary Animal Studies Initiative [IASI], School of Oriental and African Studies [SOAS], University of London. The website editorial board is composed of professors, researchers, doctors, doctoral and graduate students with their primary research interest being focused on maritime history. The starting point for the creation of the marehist website was the Ionian University and its Department of History. However, the site welcomes members of other Universities, such as the University of Piraeus and its Department of Maritime Studies, the University of Aegean and its Department of Shipping, Trade and Transport, as well as members from non-Greek universities. 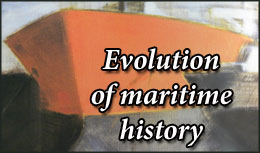 The aims of the marehist website are to: (a) enhance the current scientific research in the field of maritime history, (b) strengthen the communication and debate among maritime historians, and (c) promote as well as strengthen the research in maritime archival resources. The marehist website is an invitation to those who are captivated by travelling through space and time in the seas and the oceans of the world. Our ambition is to bring together not only the universities’ crews but the crews of shipping companies and vessels, as well. 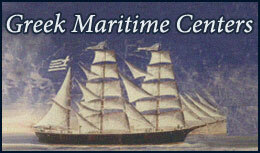 The marehist website was created as part of the research project titled PENED 2003 (PENED Code: 03EΔ388). PENED 2003 is a funding program for young researchers, supported by the Greek General Secretariat for Research and Technology, under the operational program "Competitiveness". PENED 2003 focuses on training young researchers through the elaboration of PhD Theses over the course of a three-year period. 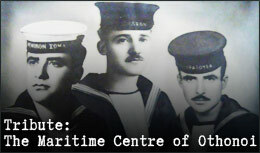 Our research project, entitled “Greek Maritime Centres: Identification and Administration of Maritime Heritage of the Ionian and Aegean Seas,” was financed by the European Union (75%) and the Greek Ministry of Development (25%) under the supervision of professor Gelina Harlaftis at the Ionian University, Department of History. 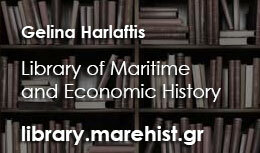 Welcome to the website of the Greek Maritime History created during spring 2010, as a result of the historical research and activities in the Department of History of the Ionian University.